It looks like the new Doctor has been cast. After accepting an award at the British LGBT Awards, former Doctor Who showrunner Russell T Davies told Guys Like U that the next season already has its next Doctor. Davies was responding to a question about whether the new lead should be a woman, a question posed to current showrunner Steven Moffat multiple times over the years. And he’s been very consistent. Moffat’s been answering this question since at least 2013. Exactly one day after it was announced that Peter Capaldi would take over as the new Doctor, Moffat explained his decision to DigitalSpy, saying that it “didn’t feel right” to cast a woman at the time since he didn’t think enough fans would want one. He even went so far as to say female fans were the ones most adamantly against it. Moffat would later shy away from the “women don’t want a female Doctor” defense and double down on suggesting it could happen one day, but not that day. A person will pop into the showrunner’s head and they’ll think. “Oh, my God, what if it was that person?” And when that person is a woman, that’s the day it will happen... It will not happen that somebody sits down and say we must turn the Doctor into a woman. That is not how you cast the Doctor. Beyond the fact that “political decision” is a loaded term that justifies continuing the status quo, Moffat is kind of a hypocrite. 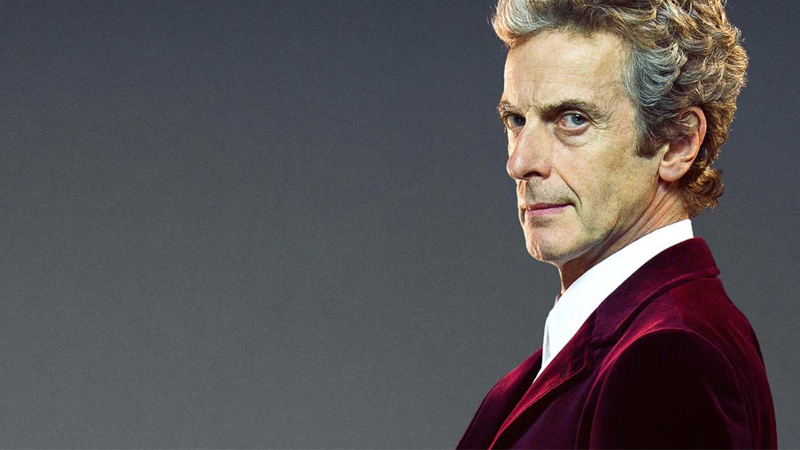 Peter Capaldi just kept popping into my head. I got him round to my house to audition. And he didn’t know he was the only person auditioning. This mirrors his selection of Matt Smith, who had previously auditioned for Sherlock (another role Moffat defended as quintessentially male back in March). This means only those in Moffat’s immediate line of sight stood a chance, and no one else was given an opportunity to show what they could bring to the role. He says a woman “could” be the Doctor, if she’s the first person to pop into his head. But after over 50 years of white men, it’s absolutely always going to be a white man that pops in there first — especially if the person who is the showrunner is himself a white man who surrounds himself with roles that are traditionally played by white men. However, it’s not just about women not getting the opportunity to try out for the role, though that’s a big factor. Moffat never really thought about having a woman be the Doctor because he thinks they’re better suited as the Doctor’s companions, saying as much during a BAFTA talk in 2015. This isn’t the only time that Moffat has said he doesn’t see the Doctor as a role model, but his track record doesn’t support the companion being the true hero (and not just because he’s called the Doctor the “hero figure”). While companions are given more character development, coming into the Doctor’s life to learn something about themselves and teach the Doctor something in the meantime, Moffat’s defense is pretty insulting. It assumes that only men can be emotionally stunted, hyper-intelligent weirdos who roam the galaxy causing and solving mischief. We’ve had male companions in the past, albeit typically alongside female ones. And in his argument, Moffat never says the companion has to be female here, but he is saying that the Doctor is male, so the only female lead in the show could be the companion. And as he describes companions, they’re put in the uncomfortable position of being the Doctor’s emotional core. This reinforces the stereotype that it’s a woman’s role to bring emotional balance to a man, but men can’t or shouldn’t do the same for a woman. It gets even more muddled when you consider Moffat’s actual track record. A 2014 study showed that Moffat’s female companions had, on average, fewer speaking lines than Davies’, and Amy failed the Bechdel Test far more times than her predecessors. Clara did improve the scales, and Bill has been pretty solid so far, but the numbers still tend to fall below what existed before. Moffat himself was asked about the accusations of sexism later in 2015, replying that he understood the concerns, in theory, but also didn’t think they applied to his show specifically. He also added that his wife is a “powerful woman,” which is always a helpful defense. It’s a big and complicated issue and I never quite know how to respond to it. The general point being made by these people is correct. We need better female role models and representation on screen. We need all of that. Maybe this is my dim-wittery but I do not understand why Doctor Who of all shows is singled out as a misogynist show. And I’m really not like that. I’m sure I’m to the left of a lot of my detractors, but I don’t want to argue with them because I think generally they’re right. We do need to do better. Moffat’s years-long pattern has been to evade the question with a “maybe at some point,” or defending his decision to cast male Doctors for... insert his latest reason here. I honestly don’t believe Moffat ever seriously considered a woman for the job during his tenure as Doctor Who’s showrunner, and probably still wouldn’t be if he were sticking around next season. He’s continually said he’d think about it, pointing to his choice to turn The Master into a woman, but his hiring practices have continually put himself in situations where a male Doctor was a given. And his reluctance to alter his (male) Doctor and (female) companion dynamic is apparent. Just choose the best person for the job and any other agenda, however worthy, should be ignored. It has to be the best person for the Doctor that Chris is writing for... Chris is going to be working with the actor for quite a few years and it is a pressure cooker. It can be tough, so you need to choose your friend wisely. So long as it works for the good of the show, that’s fine. Moffat’s most recent answer to this question came just a few days ago in an interview with BBC Radio 4 (via We Got This Covered), Moffat went into how he chose Smith and Capaldi as his Doctors, saying it wasn’t a matter of purposefully choosing white men for the job, it just so happened that the perfect actors for the job were both white men. What are the odds, right? Of course, we know that he didn’t see anyone else and he didn’t want to let any one else’s thoughts intrude onto his mystical process of waiting for someone to pop into his head. This is why Moffat’s reasons are so elliptical and confusing: he didn’t affirmatively rule out women, he just never gave anyone but his preferred choices any thought whatsoever. So when asked to defend it, he can’t, really. Despite Moffat’s insistence to continue playing the same tune, there are hopes the new showrunner will change things up, giving audiences a female Doctor or having the iconic character regenerate as a person of color. The actor’s been picked, so it’s too late to petition, but it’s never too late to hope. Casting a more diverse Doctor would revitalize the show, encouraging a new audience while challenging current fans. So, what does Chibnall himself have to say about it? Nothing is ruled out, but I don’t want the casting to be a gimmick and that’s all I can say.